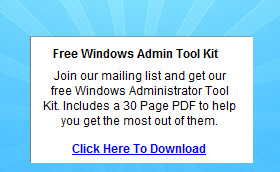 We have a trouble in our company with workplaces with Windows 7 Pro x64 + Office 2010 Pro x64. It is not possible to paste formatted content (Outlook ocasionally crashes, mostly just does nothing), pasting as plain text is working though. Running Outlook in Safe Mode - Working at the beginning. But after viewing a plain-text email, paste doesn't work anymore!!!!! So if I want to paste anything other than plain text, I need to restart Outlook in safe mode and avoid plain-text e-mails :). I googled around and I can't believe I'm the only one with this problem. Does anyone has any ideas? Or I should just downgrade Outlook? Try a new Outlook profile to test the results. 6. Highlight the profile, and choose Properties. Then Email Accounts.., add your email account in the profile. 7. Start Outlook, and choose this new profile. thanks for the feedback, I tried as you suggested, and also with different email account. Still the symptoms are the same with a new profile. Maybe this problem is somehow connected to Estonian locale that I currently have? It should be related to some conflicts or corruption. Please try to repair the Office programs from Add/Remove Programs (Windows XP) or Programs and Features (Windows Vista/Windows 7). Locate the Office program, right click it and choose Change. Then Repair. At the moment all the users running W7 x64 Pro and Office 2010 Pro x64 have the same problem (currently 6 users and 2 different hardware platforms). The program OUTLOOK.EXE version 14.0.4760.1000 stopped interacting with Windows and was closed. To see if more information about the problem is available, check the problem history in the Action Center control panel. Are you using any older Type 1 fonts like Helvetica? A hotfix was recently published to address an issue with older Type 1 fonts, http://support.microsoft.com/kb/2459114. I cannot tell from the details you posted if this could be the issue but it was widely affecting. It might be worthwhile to test this hotfix just in case it could be related. It may be necessary to open a support case to research the crash. If you want to post the crash details please use the steps below. This will provide more information for us to help troubleshoot. You will likely need to send this to support when you open a support case too. These steps will post the full details of the crash event for us to be able to research. 5. Find the event for the last crash and note the time stamp. 6. If you have clicked to send the error report to Microsoft the event will also be listed as 1001. Change the filter to filter on 1001 and search for the original that corresponds to the 1000 time stamp. a. It is preferred to filter with event 1001 so that we can see the Watson Bucket ID. 7. Locate the recent crash event and open it. Click the Copy button to copy it and then paste it to Notepad or Word to remove any personal details like the computer name. I installed the hotfix and first of the several tests were ok. Normally Outlook would have been crashed by now :). We will install this hotfix also for other users, I will give my final feedback in couple of days. Today again, cannot paste formatted data. I can only paste as plain text. I'm waiting for the Outlook to crash to do the steps you suggested. I have the same problem! Just my Outlook is not crashing. Windows 7 Pro x64 + Office 2010 Home and Business x64 (Lithuanian locale). I cannot paste any formatted content to Outlook, it just does nothing. If I choose to paste as a plain-text, everything works well. No crashing. I'm using Calibri font (which is quite new I think). Pasting from Outlook to let's say Word - works well. Also tried to google some more info about this - seems that me and Andre are the only ones. I have notice this few weeks ago. But that time I just switched everything off, re-started my computer and it worked well for that time. But today I have did everything and now nothing helps. Maybe I should add, that I'm using NOD32 Antivirus 4 (v.6.1.7600). I had some issues with e-mail remainders. But google helped to solve this out. Now NOD32 is not scanning my e-mail messages then I read them. But it should normally not effect paste function, right? Not sure if this is relavant, but I discoverd this issue today while trying to paste formatted text from Internet Explorer into a email message. I copied the formated text to a word doc with no problem. I then cleared my clipboard. I was then able to copy the formatted text from the word doc to the email message. Explain that! We have this issue on three computers. Trying to solve it with Microsoft Support, case opened already for two months and no results. 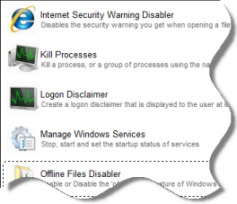 They suggest not to use NOD, but that's not the case because on one computer it's Microsoft Security Essiantials and problems exists also. Same problem here with 4 computers running Windows 7 64 bit and Office 2010 64 bit. This has been a major bug with some non-english locales for a long time but still there is no bugfix from Microsoft. I can confirm the same behaviour on my computer with Windows 7 x64 and Office 2010 x64 (+ Latvian language pack for Office). Pasting formatted text in Outlook mostly does not do anything or leaves Outlook in "Not Responding" state. We had same problem. but for us it was enough to switch off / switch on E Nod antivirus AddIn. Probably we are using the same Localization settings as HallVanake (considering the username) which is EE - Estonia. Would be nice to see a hotfix as soon as possible. SP1 uninstall is not a nice fix because we are not interested of security holes. I have exact same problem, except, my office is 32 bit! both computers have Estonian and Finnish localization packs installed together with all updates (default is EE). The paste problem is random, sometimes it won't happen at all during a working day, sometimes it happens very soon after launching Outlook. A temporary fix is to close Outlook and launch it again, it'll work for some time and then it's "bugged" again. I havent tried (yet) to uninstall Office SP1, at least removing the language pack's SP1 did not fix the issue. oddly I can copy something out of an open email in outlook and paste it back into the same email, but if I try to copy a url from ie9 and paste into outlook it does not allow. LIkewise from other programs. Win 7SP1 x86 + Office 2010SP1 x86. I see that Outlook fixed one variation of this paste issue in Outlook 2010 SP 1. Please double check you have SP 1 installed. SP 1 version under File, Help is 14.0.6023.1000. Microsoft does not have an in house repro or bug report of any other variations of this issue. If you still experience it after installing SP 1, please open a support incident so support can investigate and request a hotfix if needed,http://support.microsoft.com/contactus/. I am experiencing the same problem and have found that if I kill the Windows Search service Outlook recovers for a while but the problem returns. with both x86 and x64 office editions. I have seen several comments pointing to Estonia or Finland (I'm also from Estonia). Also, I'v contacted to local MS representative, and they told me that this problem is somewaht "known" and there is already started some support cases with some customers. They did'nt comment anything else. So at the moment I'm waiting feedback from local MS.
this started happening for me after applying SP1. Same probem here (also Estonia). We have an active support case with Microsoft right now. I will let you know if correct solution is found. I had the same problem on Windows XP x86 / Office 2010 SP1. I am not sure whether the problem appeared after installing SP1 or not, althouth I think it was afterwards. Anyway, today I installed some of the hotfixes included in the "Office 2010 Cumulative Updates August 2011" and now it seems to be working ok.
You can get them from http://support.microsoft.com/kb/2588842. I'll monitor my system and let you know more within the next couple of days. So far so good, second day is running on my PC and still works. I think I should wait about a week to give stronger confirmation. We have about 17 computers which 7 have this fix applied. Everything running fine and paste is also working. KB2553918 was included in the "Office 2010 Cumulative Updates June 2011". Does anybody know whether the August 2011 updates targeted for MS Word include the ones of June 2011? KB2553918 seems to fix the issue here as well. I'll test it few days more, if it helps, I mark your post as an answer. I installed the patches last week so far it is working :). Thanks! Patch worked for me also. I was facing the same problem. Windows 7 Pro 64bit Office 2010 + Lithuanian regional settings. so no there is no fix in the latest updates relesead to wsus? At the moment for me it seems that way. No official updates. Only hotfix. Thank you all for the hard work. I've applied the fix on the affected PC and now the problem is gone. I also had a problem, when I could not copy rich / html content from web browser, Excel or Word into my MS Outlook 2010 new email (or reply). I applied this hotfix and it all works fine now! I have found that you can overcome this problem by opening the clipboard in Outlook and pasting from there rather than right click pasting in Outlook. Your answer really helped me; it worked for me. Turning off the Bluetooth add-in solved this for me. This needed to be turned off in every office application. Clear "Send to Bluetooth" tickbox. Hope this works for others too. Hi, I just started having the same problem today for the very first time. I have written Outlook but haven't heard anything yet. You aren't alone, I saw the forum and many people are having the same problem. I came here thinking I could find an answer. Hope it get's fixed soon! This started as a problem for me yesterday 2nd Jan 2015. For the moment the suggestion earlier saying copy from the Clipboard is the only way I can paste from an incoming email to an outgoing keeping the original format. Any other method uses the default. It is also noticeable that any changes made to the "Cut, copy and paste" settings are simply ignored by Outlook! It seems that there are several ways to provoke the problem, like installing Skype, Bluetooth connection or, like me, simply doing what I have done for years without a problem. Hello Sussex traveller, I have only just upgraded from Office 2007 to 2010 and am having the same problem in Word and in Excel - I can only paste as text, the special paste options only RARELY appears! I have never had Skype so it cannot be that. Thanks for the solution. I'm able now to copy-paste to a new document or e-mail but the copy and paste does not work when I try to reply or to forward an e-mail.